I want to share my experience driving for Uber so everyone who is on the verge of either start driving or is thinking about a career change can get a better idea of the experience. Money, of course, is the major draw to the Uber platform since everyone is raving how much money you can make through the app. 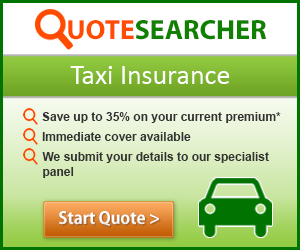 I will share my weekly expenses, hourly rates, and petrol cost so you can get a pretty accurate idea of the money to be made so you can decide for yourself if it is worth it driving for Uber in London. 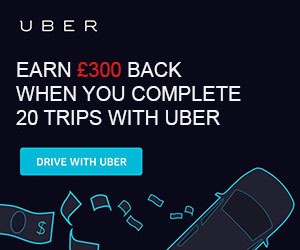 I might not be a prime example of the income potential of Uber since I am not willing to drive late nights and very early mornings, I just want to work regular business hours and quit once I make a 100 quid. That’s my daily target and the least amount of hours I need to work for that hundred the better I feel. I am still in a rented car, being in my third week on the platform. I would love to hear from other drivers about vehicle rental deals or leases to help maximize my hours on the platform. I currently pay £230 for the car, which is a 2012 Toyota Prius T-Spirit. The petrol mileage widely varies due to the way I drive, but usually stays between 45-55 miles per gallon. I am thinking about buying a used Skoda Superb or a cheap Zafira, but haven’t decided 100% if I will continue driving in the next year, or so so I try to avoid any long term commitments. So here are my earning for the first week. That is a whopping 12.14 quid per hour. You can imagine I wasn’t too happy about it, but given how everyone is hyping the promised 600-800 quid a week. I figured it is due on the fact that I am still a new driver, don’t even know any of the main roads in London and I drove relatively stressed out while having a passenger in the cab. The funny thing is that all 27 trips gave me a perfect 5* rating, something I didn’t expect at all. Stay tuned for the following week of earnings and hours driven, but in the meantime, you can visit my About Me page, get in touch or learn how to become an Uber driver!! !